I think this is the first time I’ve done four articles on one skincare line. NIOD is so unlike anything else I’ve used due to it’s advanced technology, that I’ve stuck with it for 3 months now. Partly for the sake of this website but mostly, I have to say, because of my skin. Today is about the last 2 products in their range that I’ve tried and you could say I’m leaving the best til last. This little miracle fluid is going to make you glow. If you ever go in front of a camera you want to be wearing this, because it’s the equivalent of a soft focused flattering filter. It’s light reflecting properties make your skin look perfect both in the flesh and in front of a camera. It’s meant to be colourless but to my mind is like a pearl that disappears as you apply it. It’s actually a priming fluid that can be used on it’s own, underneath foundation or added to foundation. It works brilliantly whichever way you use it. I also sometimes add it to Hydration Vaccine. And in my opinion, it’s best when you use it very sparingly. It somehow not only gives the skin radiance but also gives the face more definition (particularly good in front of a photo lens). It lasts brilliantly through the day, keeping make up looking fresh, while also hydrating the skin. All the make up ladies I’ve worked with in the last few months have been raving about it. This one is a keeper. For some reason this one doesn’t seem to have an abbreviated nick name! Mind you, you can sort of see why, can’t you? Never mind that, this is an amazing serum for the lips. Lips get drier and tend to shrink with age. This little beauty increases collagen, HA, hydration, lipid content, water content while at the same time protecting lips against age related damage. And it also plumps lips up for a time after application while also increasing pigmentation, giving lips a lovely pink full glow. Not in a weird unnatural way either. The effects become more lasting the longer you use the product. I didn’t even know that my lips were quite dry until I started using this and trust me, when your lips are fully hydrated, it makes a big difference to how they look. You only need a drop or 2 (so the bottle lasts for ages) and you get a tingling sensation. The first few times this feels quite strong but you soon get very used to it. Try and keep the serum just to the lip area and not the skin around the mouth. I made the mistake the first time I used it, of using way too much and liberally spreading round the outside of my mouth as well as my lips. I turned bright red in that area and it felt hot!! This is because it increases circulation but the redness went down in a few minutes. So a small amount just on the lips if you please. It’s completely different to lip balms and is unlike anything else I’ve come across. I will definitely be using this for the long term (probably all with the same long lasting bottle). This is it for now with NIOD but I will be keeping an eye out for any new products they bring out and will of course, be trying them. 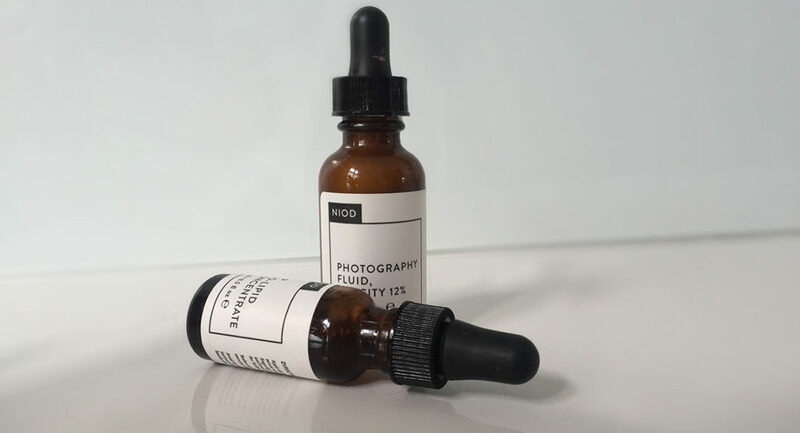 I have tried all of the Niod products you have recommended and love them, my skin looks more radiant and open pores on my forehead have shrunk, its an amazing range. I will now try the lip treatment as my lips are very dry and it sounds really good. Aren’t they amazing?? I’ve now put links in the article if you want to check out the products. How can I find the cost of the beauty products? Dee if you go back to the article I’ve now put the links in so you will be able to check the price. Yes any of the products can be used on their own. I don’t know of a salon that has them as I get them through Victoria Health. I forgot to put the links in the article but they’re there now if you want to check it out. The lip product is only scary if you did what I did and use too much!If used sparingly it’s just a little tingle that you get used to very quickly.